Vibrant flowers blossoming within the beautiful garden are frequented by the captivating bee. 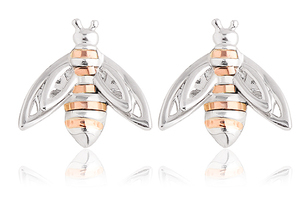 Our sterling silver and 9ct rose gold Honey Bee earrings are the epitome of elegance, symbolising love, wealth and wisdom. 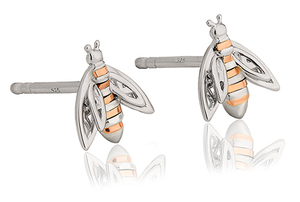 Containing rare Welsh gold, as used by some members of the British Royal Family for over 100 years, these unique earrings make for the perfect gift.